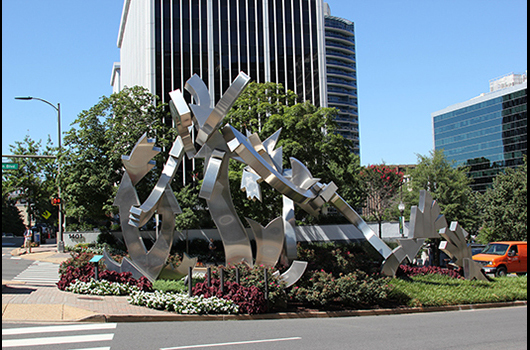 Chris Gardner imagines this as “the garden where Cupid grows his arrows.” Arrows have been a predominant motif in the artist’s sculptural work, as Gardner enjoys the dynamism and sense of movement they convey and the many metaphorical possibilities they offer. Here, the arrows also allude to signs that direct the busy flow of vehicles and pedestrians around this traffic island where several streets converge. 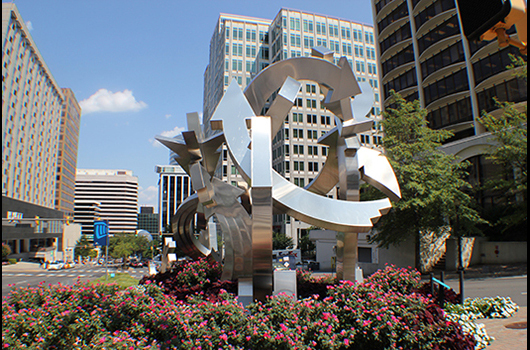 Cupid’s arrows become shiny directional counterparts for the traffic whizzing by.